The word “luxury” gets thrown around a lot. Your wedding is a very important day and you want to experience the absolute best. As you search online for luxury wedding venues or luxury event centers, it will become obvious that some venues use the word “luxury” as a synonym for upscale, premium, exclusive, or simply expensive. But luxury has a very specific meaning, so if you truly want a luxury wedding, keep these features in mind as consider luxury wedding venues. A premium is simply an added or improved feature for which you pay more. For example, you pay a premium for a first-class seat on a flight, which entitles you to additional leg room, complimentary meals and beverages, and early boarding. A premium wedding venue may be one that offers gourmet meals, top-shelf alcoholic beverages, and exceptional customer service. Luxury, however, is much more. A luxury wedding venue will offer many premium features, and often the very best premium features, but it will distinguish itself from premium wedding venues in several ways. If it’s unique, it can’t be compared to anything else. Any company can create a handbag, and any company can create a very attractive and well-made premium handbag, but only one company can create a Louis Vuitton handbag. A luxury wedding venue must be truly one-of-a-kind, different from every other venue in significant ways. Luxury wedding venues are selected by those couples who want wedding photos that are extraordinary, who don’t want to invite their friends and families to ordinary weddings at banquet halls or hotels. 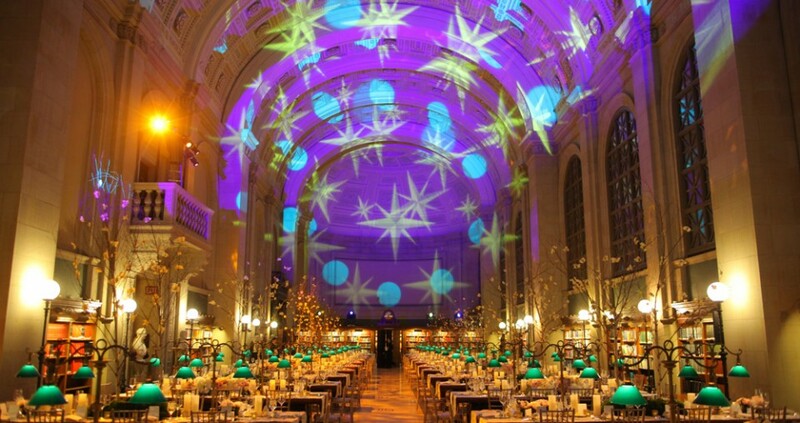 The Boston Public Library, for example, is one of the premier luxury wedding venues in Boston. With an incredibly picturesque backdrop and an amazing history, it’s the setting for original and exclusive weddings. Luxury has a meaningful past and a fascinating story. In 1908, for example, Coco Chanel opened her famed French perfume house. It did not begin as luxury, and in fact Chanel #5, which was introduced in 1921, did not come to be regarded as a luxury until the company molded a meaningful heritage. A luxury event center cannot be built overnight. It must have served large groups of people through its own long-term and well-recorded history. The Agora Grand Event Center, for example, was created from a 19th-century Neogothic church and Maine’s tallest building. Its rich and profound history – including the millionaire who built Kelsey Hall and the priest who chose to be buried in crypt under the chapel – is recorded in this free ebook. Luxury owns and celebrates its imperfections. For example, a Ferrari engine is neither quiet nor smooth. Its designers know this but prefer to engineer one of the world’s most elegant and powerful engines instead of spending resources to make it quieter. A luxury wedding venue does not apologize for its flaws but rather incorporates them into the experience it offers its clients. For example, Bishop Farm, a luxurious venue in New Hampshire, is located far from city amenities. 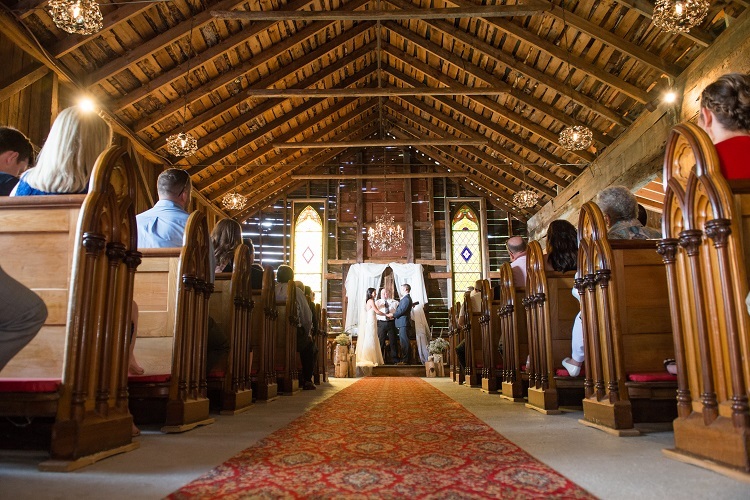 It celebrates its remoteness by renting out the entire property, including a restored historic bed-and-breakfast and a dozen renovated cabins, for the entire weekend, allowing wedding parties and guests to escape from the hustle-and-bustle to a peaceful countryside. Luxury serves clients, not customers. Instead of trying to sell to customers, luxury seeks to build two-way relationships with its clients, and the transaction process is more like dating than making a sale. For instance, as owners of BMWs know, once you’ve established a relationship with a dealership, it is usually lifelong, with dealerships continuing to cultivate the relationship long after the sale is made. Luxury wedding venues will not book weddings without first getting to know the couple. But once they’re booked, the venue will treat the couple as royalty with the most exceptional service and meticulous attention to details. Luxury venues genuinely care about their clients, and their relationships may continue on for long after the weddings themselves. Fads come and go, but luxury is seated in timelessness. Ignoring trends, luxury is both classic as well as daringly original. It does not seek the approval of the masses, but rather roots itself in history while welcoming, and often creating, the modern. At a luxury venue, a symphony orchestra would be just as fitting as a rock band. Luxury wedding venues are not trendy. At a luxury wedding venue, wedding photos taken 50 or 100 years ago are as relevant today as they were then. By getting married at a luxury venue, you won’t have to worry about your wedding photos being out of vogue in 50 years (except perhaps your hairstyle!). Take a look at our blog post on 7 Tips to Booking a Luxury Wedding Venue. Also, for unique wedding venue ideas, check out these outrageous Castle Wedding Venues, as well as the Best Wedding Venues in Maine. Andrew Knight is the owner of the Agora Grand Event Center in Maine, a recent groom, and a blogger who loves writing about unique weddings, weddings costs and budgeting, and wedding planning. This discussion of luxury was sourced from The Luxury Strategy by J. N. Kapferer and V. Bastien.